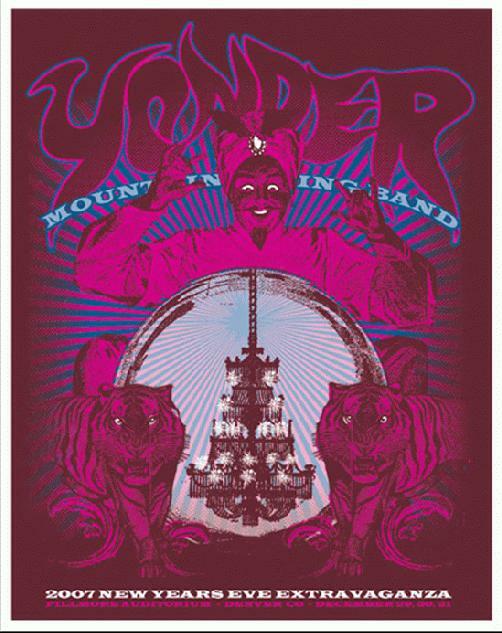 Original silkscreen poster for Yonder Mountain String Band and their 2007 New Year's Eve Extravaganza in Denver, CO. Designed by Rob Helmstetter of Table2Press. Numbered edition of 250. Measures 16x20 inches.